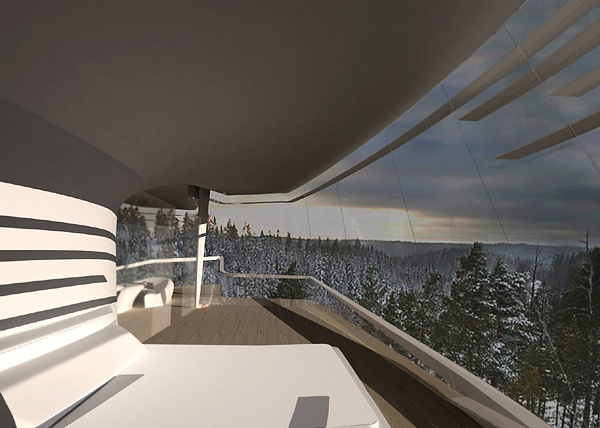 Well known Iraqi architect Zaha Hadid represents her new luxury project “Capital Hill Residence” that will be built near the Moscow, Russia. “Located on the north-face hillside in Barvikha where pine and birch trees grow up to 20 metres high, a villa with fluid geometries emerges from the landscape. 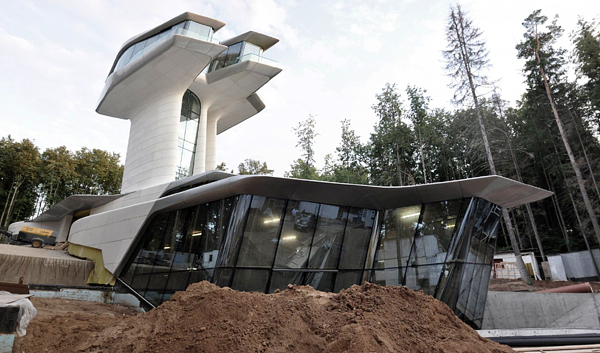 Its programme is divided into two components: one merging with the hillside, another floating above the ground with dynamic views overlooking the forest.” On the lowest level, swimming pools and entertainment spaces compliment essential living, cooking and dining spaces, connected upward via a glass elevator to higher-level bedrooms, lounges and decks shooting up nearly seventy feet into the air. Take a look!